This is my first Asian makeup review! Yey! Kbeauty makeup to be exact, and before I go on, I would like to include that I got this from Amabie (pronounced "UH-ma-Bee-Ay"), for being a part of their Amabie Sweetheart program. Now, Amabie is a up and coming new website, where you will find reviews for all kinds of beauty products. Basically a review platform. There are both Asian and western brands on this site, but they focus mainly on Asian beauty products. The website also has tons of giveaways to all it's reviewers. All you have to do, if you want to join their awesome giveaways, is and you can create an account to write reviews of your own on products you have already tried. Making an account on Amabie.com is free, so don't worry about having to pay for anything, and it's open internationally. You also don't need to have a blog to create an account. 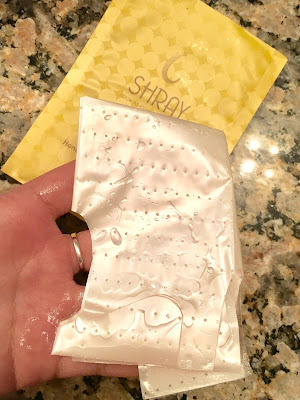 Got a beauty product you want to review, but you can't find it on the site? Just shoot them an email, they will reply within 24 hours, if not in minutes. Let me tell you, the people behind Amabie are SO nice. Sometimes, the CEO Katrina, will reply, too. Check out their YouTube Channel to meet the staff. When you applying lipsticks, lip gloss and lip tints, always do a lip scrub first and apply a thin layer of lip balm, or lip treatment (like the Hanalei Lip Treatment). This makes lip gloss, lip tint, and matte lippies less drying and will not go into the creases of your lips. This will also give your lips a more supple look. At least, that's what I do. Hehe. Second, lip liners does wonders for the shape of your lips. 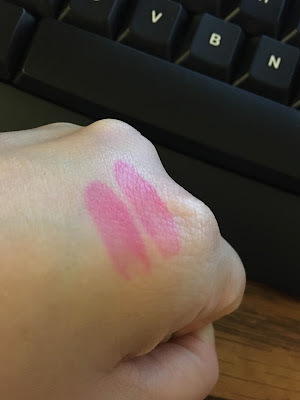 What is Peripera and these lip inks? The Peripera's ink are lip tints that will last for hours, and even when the layers of color has been cleansed off, there is still that stain that stays on your lips for another 24 hours. Peripera is a smaller brand that is owned by Club Clio, or CLIO COSMETICS, which is well known for the Clio Kill Brow. If the drawings on the box or bottle looked familiar, then you may have the right idea. Because the first time I saw these bottles, I thought of 2ne1, and their song "Hate You". I love that song, by the way. Mari kim had designed the little cute girly faces on the packaging while she was working with the group! I have included 2ne1's music video for you. Now, you can listen to the song, while reading this post. Enjoy! How does the wand look? Below, the first is the top view of the bottle and you can see how short the wand is, so application is easier for me as I have smaller hands. The second photo is the semi-side view of the bottle, and the the wand. You can see how thin and how long the applicator is. 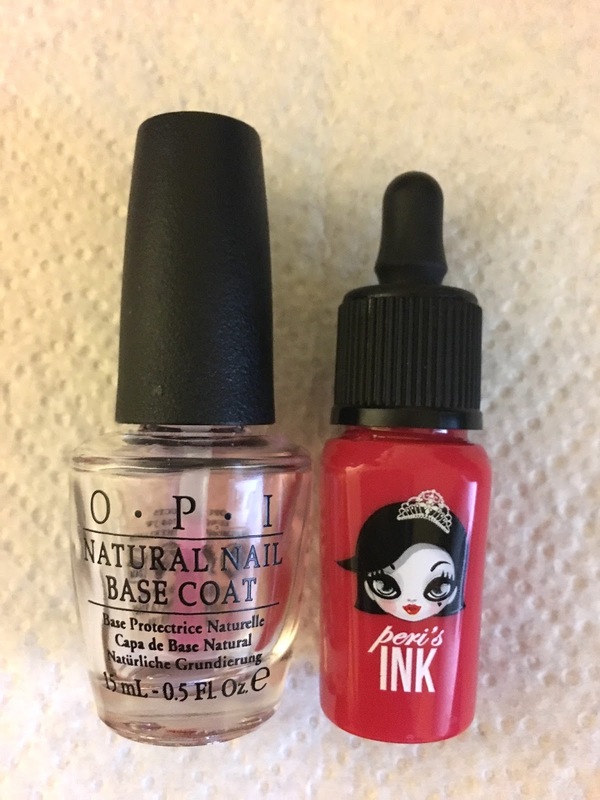 The last photo are the swatches, and you can also see how small the bottle is compared to my small hands, which look weirdly large in that photo. It also stayed moist (with a bit of shine) more than the first, as I did not dab this into my skin. Honestly, I got the Peripera Ink Tint confused with the Peripera Ink Moist. Who comes up with these names and packaging? Seriously. The one I'm talking about is the Lip Tint, which is similar to the Ink Moist in packaging, but the consistency is of the Lip Moist is a tad thicker. Just a bit, which is why anyone can confuse them two product lines. Or.. am I wrong again? Comment down below what the difference is between the two lines, or if they are of the same line. Thanks! Like a deep hot pink, really. It super pigmented and will stay so long as you do not eat anything oily and hot. Though, some of the color does come off when you eat ice cream, but not enough to make a big difference in color. When I do eat something, like ramen, a lot of the layered color does come off, but the stain remains. I keep another color for darker gradient look, when that happens, which usually only happens once in a day. Mostly after a meal. I like adding a muted pink on top of the stain, either after eating or when I just want a dark gradient lip style. Who loves full color gradient lippies? Now, if you swatch this, and try to wash it off, there will have a deep pink line stain for a good day or so, but will eventually come off (in baths, showers and washing dishes). In that sense, I like calling this, despite the watery consistency, Peripera INK STAIN, rather than tint. Don't get me wrong, it is moist, it stays moist for a good hour or two, so fair warning, try not to touch your lips or drink directly into a cup/glass/tumbler (you know what I mean). As I mentioned, some of the color is difficult to wash off your lip completely, and even more difficult to wash off your skin. I used cleansing oils, makeup removers, even dish soap to try and remove the stain that Ink tint left behind, but nope still some of it left on there. The photo below is about 3 to 4 hours in, after I had swiped the lip ink across the back of my hand, near my knuckles. This was in white lighting, while the sun was still out. The next photo will show you how the swatches look after 12-13 hours in white lighting. My skin looks a bit yellow because it's way past dinner time. See the size of the bottle? It looks bigger than it actually does. It's a few milliliters shorter than the O.P.I. nail polishes. So with that being said, I know a lot of people are not comfortable with lip color staining their lips for more than 24 hours, and have given this a 4 or less rating, but I like this lip product. I like using this when I go to parties at night, so that tne next day that left over stain looks more natural. A plus in my opinions, because I can take a morning selfie and say "I woke up like this". Ha! I wore the link ink the day I received it. Where do you get these Peripera Ink stuffs? I believe Jolse also has an Amazon shop, as well. When you go on Amazon, check the seller name, which is usually found just above the price tag, or under the delivery date if you are using a desktop web browser. It's a pain sometimes, seeing the lip tint, but I do like them so much. I'm thinking of getting more of these in different colors.